Home » Blog » Retail Happy Hour every Wednesday! 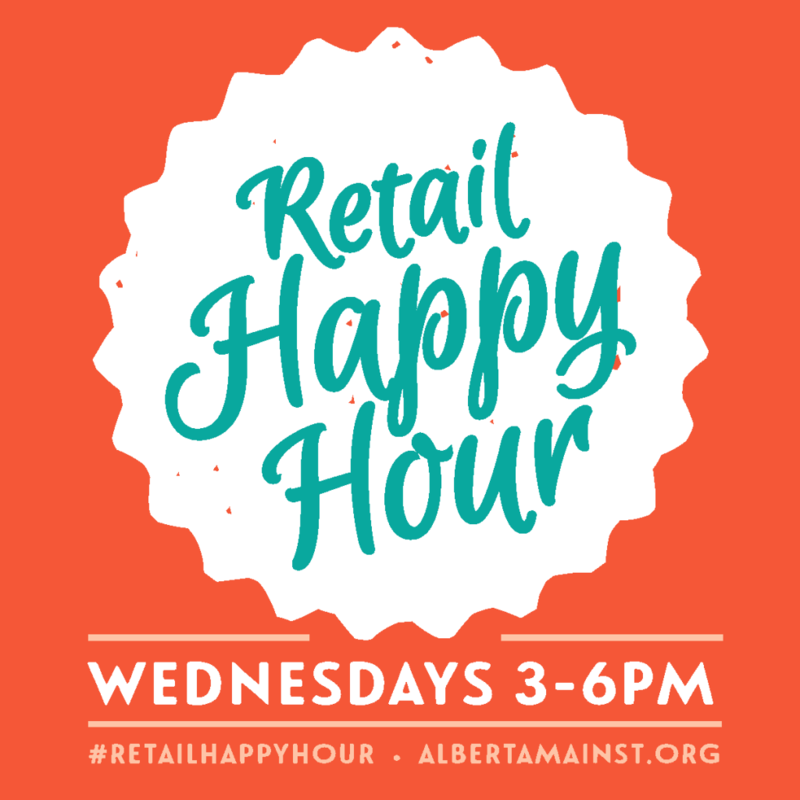 Retail Happy Hour on Alberta Street kicks off this Wednesday, June 24th, from 3-6 p.m. at nearly 40 Alberta Street retail businesses. 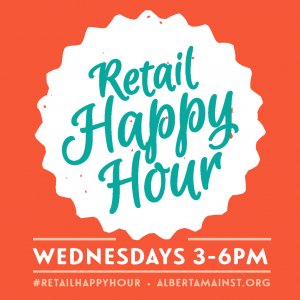 Retail Happy Hour invites shoppers to visit Alberta Street every Wednesday afternoon for great deals and exclusive discounts while supporting local independent retailers. The Community Cycling Center and Gladys Bikes are teaming up to celebrate Retail Happy Hour. We’ll be offering 10% off new parts and accessories AND giving out a water bottle / Gladys Bikes surprise. Hope to see you on an upcoming Wednesday! Psst, rumor has it, there’s a special progressive beverage, too!